Are you suffering from fatigue and low energy? Energy comes in the form of food, and if you consume a poor diet that lacks important vitamins and nutrients, fatigue will kick in much quicker than it should. What should I eat to increase my energy levels? The first step in combating low energy levels is to increase your intake of good quality protein sources and make sure you’re consuming protein at every meal. Let’s ask why? The reason is that protein provides the basic building blocks for tissue growth and plays a key role in maintaining a healthy immune system. Without adequate amounts of protein, your system cannot function optimally. The answer to this question is complex and a number of factors should be considered, such as your individual energy requirements and your level of daily activity. For example, if you’re training for an athletic event, your protein requirements are much greater than the recommendations outlined below, because your energy demands are significantly higher. For the average adult who engages in light to moderate physical activity regularly, the recommended daily allowance is based on this simple calculation. To calculate your protein requirements, take your weight in pounds and multiply it by 0.36. For every pound you weigh, you should consume about 0.36 grams of protein. I know breakfast is important, but what should I be eating? Breakfast should never be skipped. A coffee and granola do not meet your nutritional requirements, and there are better breakfast options that will still provide you with adequate energy and nutrients. If you’re starting your day with granola cereal, you’re probably only getting about 6 grams of protein with a 3/4 cup granola, which is equivalent to the amount of protein found in one hard-boiled egg. Another problem with starting your day with granola – it’s filled with sugar, and will leave you feeling hungry and fatigued very soon after breakfast. Try replacing your morning granola with one hard-boiled egg and some fruit with low-fat organic cottage cheese (1/2 cup low-fat cottage cheese provides 14 grams of protein). This will offer more protein than the granola, less calories and it will also keep you feeling fuller longer. It’s simple to keep your energy levels up with healthy, wholesome meals, and by paying close attention to how you start your day. 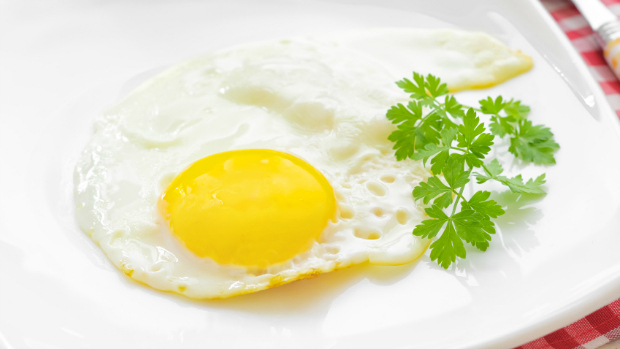 Too much protein can negatively impact your health. Many weight loss diets on the market encourage high-protein meals with very few carbohydrates. What many people don’t realize is that too much protein may harm them. It’s important to speak with a Naturopathic Doctor or qualified Nutritionist about your individual requirements and how to go about meeting them. The ratio of protein to carbohydrates to fats is very important, and while many people are aware of the negative effects of consuming too many carbohydrates, they may not be aware that too much protein isn’t ideal, either. In fact, too much protein can lead to kidney and liver stress and excessive mineral loss (such as calcium) due to its diuretic effect. The key is to consume a well-balanced diet that’s right for you and to increase your protein intake only when necessary, and in the proper amount. If you are looking for ways to increase your energy levels and are tired of feeling fatigued, take the necessary steps today to change your life for the better. Learn about simple changes you can make to your diet to increase your energy levels, prevent chronic disease, and have you feeling your very best.